Welcome to a special edition of Unfinished Friday! Today I'm featuring some books that my guest reviewer River just couldn't quite get through. Read what she has to say about each! "Strangely unremarkable for a promising book" would be my tag-line if I were a famous person who you would see quoted on the back of this novel (well, if publishers actually put criticism on the back of books...). I actually read the majority of this book, but even if it wasn't a tortuous read, it wasn't terribly enjoyable either. The setting was a weird mash-up of the middle-east and some post-apocalyptic world; the characters were tired; and the plot, however hard it tried, was rough at the edges, but thinning in the middle. I had less than a quarter of the book left to read before I was distracted by a hot football player. And in the books defense, he was really hot--I'm pretty sure this guy would have distracted me from finishing the last Harry Potter book even. But, even after my crush had died down, I didn't have the desire to return to the book in the slightest. In the end, it was just simply a boring story. "Do, done, did" would be the tag line for this book, because it's short, catchy and it makes just enough sense that readers would be left wondering what the heck I meant by it. What I actually mean by it, is that this book's been done before. It's another post-apocalyptic world where everyone is controlled by little brain chips and some overarching leader with a complex and self-confidence problems. I got about a quarter of the way into this book, before it struck me that even I had written a story just like this when I was younger. Maybe I'm jaded and it's just too juvenile for me, but I ran out of interest before I realized the book hadn't even created interest in the first place. It wasn't that it was poorly written like the Centaur book, but it was boring like The Pledge. I ended up passing it on to my sister who practically swallows books whole (actually, she ate ten pages of my copy of "Anna Karenina" because she was mad at me once...), and even she couldn't summon the interest to read it. So there you go! What do you think of these books? Have you read them? Did you like them? I am so glad someone else doesn't like The Pledge! With everyone being all excited at the sequel I just didn't get it. The book was boring, interesting concept, but horrible execution. 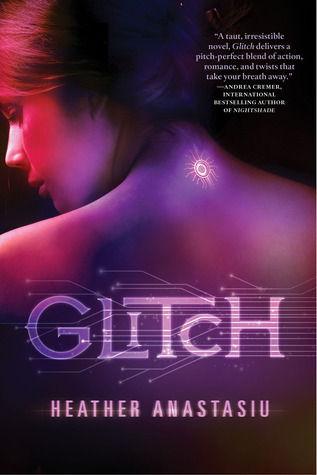 Same with Glitch, the romance killed it. 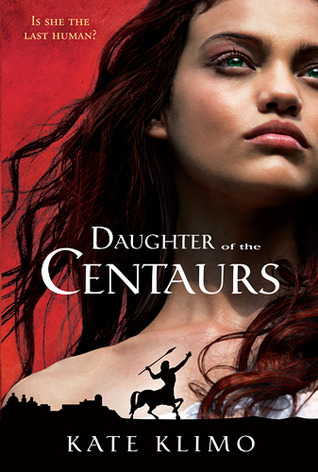 I remember seeing the publication of Daughter of the Centaurs being announced. The concept seemed a little amusing then, though at least an honest attempt to do something besides vampires and werewolves. It's too bad you didn't find the book worth finishing. Bring Awesome Authors to Salt Lake City!